Arrhythmia Alliance Cardiac Update Meeting is organized by Arrhythmia Alliance (A-A) UK and will be held on May 02, 2019 at Southampton, England, United Kingdom. Additional details will be posted as soon as they are available. Symposia at Sea: Pathology of the Gastrointestinal Tract on Cruise Control is organized by Educational Symposia (ESI) and will be held from May 25 - Jun 01, 2019 at Sapphire Princess, Southampton, England, United Kingdom. Target Audience: This CME activity is primarily intended and designed to educate pathologists. 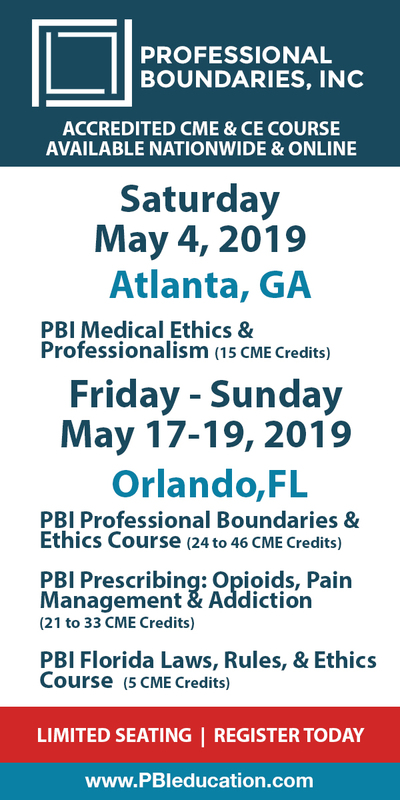 Accreditation: Physicians: Educational Symposia is accredited by the Accreditation Council for Continuing Medical Education (ACCME) to provide continuing medical education for physicians. Educational Symposia designates this live activity for a maximum of 12.0 AMA PRA Category 1 Credit(s)TM. Physicians should claim only the credit commensurate with the extent of their participation in the activity. Book by January 25, 2019 $1095.00 per person - per symposium Early registration is strongly suggested. MUST reserve cruise through Professional Travel PRIOR to registration. Call (813)806-1050 direct, Monday - Friday 8:30 - 5:00 PM EST. Non-US/Canadian Residents - register for cruise symposia ONLY through Professional Travel via email at: travel@edusymp.com. Course Description : This seminar is designed to provide a practical review of current topics in gastrointestinal pathology. Dr. Elizabeth Montgomery will discuss basic to advanced topics, pitfalls and pearls to gastrointestinal pathology diagnosis. Topics will range from iatrogenic pathology to polyps throughout the gastrointestinal tract to mesenchymal lesions. Educational Objectives: • Discuss iatrogenic forms of gastrointestinal tract injury. • Be aware of pitfalls in interpreting endoscopic resection samples, especially from the esophagus. • Recognize, assess and diagnose gastric polyps, dysplasia and their clinical correlations. • Address various types of neoplastic and non-neoplastic small intestinal pathology. • Recognize various unusual forms of gastric carcinoma. • Be aware of unusual types of colitis as well as classic forms. • Master the new classifications and staging of appendiceal neoplasms. • Recognize various types of syndromic and sporadic polyps of the colorectum. • Recognize several pitfalls in immunolabeling of various types of gastrointestinal tract lesions. • Develop an approach to gastrointestinal mesenchymal lesions. • Explain the importance of location within the layers of the gastrointestinal tissues to better classify various tumor types. No special educational preparation is required for this CME activity. Symposia at Sea: Practical GI and Hepatobiliary Pathology: Navigating the Rough Water is organized by Educational Symposia (ESI) and will be held from Jun 18 - 30, 2019 at Crown Princess, Southampton, England, United Kingdom. For the most updated cruise information visit the webpage: https://www.edusymp.com/product/details/1170 MUST reserve cruise through Professional Travel PRIOR to registration. Call (813)806-1050 direct, Monday - Friday 8:30 AM - 5:00 PM EST. Non-US/Canadian Residents - register for cruise symposia ONLY through Professional Travel via email at: travel@edusymp.com. This CME activity is primarily intended and designed to educate pathologists. This CME Conference has been approved for a maximum of 12 AMA PRA Category 1 Credit(s)™. About The Meeting This seminar is designed to provide a practical review of current topics in gastrointestinal and hepatobiliary pathology. Dr. Eric Yee and Dr. Felicia Allard will discuss basic to advanced topics and provide pitfalls and pearls to gastrointestinal and hepatobiliary pathology diagnosis. Topics will range from inflammatory conditions to neoplasia with an emphasis on integrating clinically relevant issues and providing updates for the practicing surgical pathologist. Educational Objectives: Attendees should, at the completion of this course, be able to: • Differentiate between pT3 and pT4a tumors and recognize the clinical implications. • Explain the nuances in pathologic staging of colorectal cancer and the potential impact on clinical management. • Describe the current recommendations for molecular biomarker testing in colorectal cancer. • Recognize the diagnostic features of neoplasia in Barrett’s esophagus. • Explain current guidelines for clinical diagnosis and management in Barrett’s esophagus. • Develop an approach to assessing “chronic colitis” and know its differential diagnosis. • Demonstrate increase knowledge of the differential diagnosis in small intestinal biopsies with villous blunting. • Discuss the wide spectrum of mucosal injury patterns associated with drug injury. • Identify key features and understand limitations when assessing EUS-guided biopsies of the GI tract. • Master the recommended terminology for neuroendocrine tumors in the GI tract and understand implications for clinical management. • Identify and stage appendiceal neoplasms using current guidelines. • Recognize the diagnostic features of common entities in the differential diagnosis of well-differentiated hepatocellular lesions. • Be aware of limitations of immunohistochemistry in the diagnosis hepatocellular lesions and recognize mimics. • Recognize features of non-cirrhotic portal hypertension, mimics of cirrhosis, and changes that can occur in nonalcoholic steatohepatitis. • Identify a variety of uncommon diagnostic entities that occur in the GI tract. Symposia at Sea: Thoracic Symposium at Sea: Highlighting Lung Screening, Interstitial Lung Disease and Cardiac Imaging is organized by Educational Symposia (ESI) and will be held from Jun 18 - 30, 2019 at Crown Princess, Southampton, England, United Kingdom. Additional details will be posted as soon as they are available. Comprehensive Dentistry and the Dental Team: The Pursuit of Excellence is organized by Continuing Education, Inc and will be held from Aug 27 - Sep 05, 2019 at Azamara Journey, Southampton, England, United Kingdom. 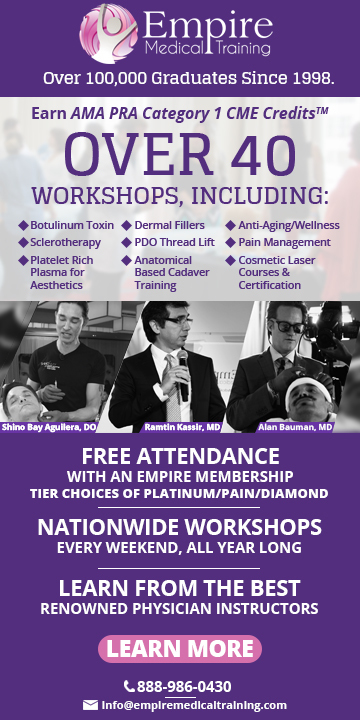 The target audience for this medical event is Dentists, Auxiliary Staff. This CME Conference has been approved for a maximum of 14 CE Credits. Conference Objectives are: • Increase profit ‐ Do more dentistry in less time...with less stress! • Motivate patients to accept comprehensive dentistry and know when they are ready to begin treatment. • Obtain more predictable restorative and cosmetic case results. • Overcome patients financial concerns. • The use of your computer to know as much about the patient as possible. • Importance of the morning/monthly meetings and time management. • Implement technology and study models to educate patients and gain case acceptance. • Use CAD/CAM dentistry and the newest esthetic materials and procedures for posterior and anterior restorations. • Review the multiple uses of Cone Beam technology in all areas of dentistry, Oral Surgery, TMD, Sleep, Implants, Endodontics, Orthodontics, Restorative and Periodontics. • Explore the use of 3D printing for dentistry to improve implant placement and patient Additional details will be posted as soon as they are available. University at Sea CME Cruise Conference is organized by University at Sea and will be held during Aug 27, 2019 - Sep 05, 2019 at 9-Night Northern & Western Europe Cruise, Southampton, England, United Kingdom. The target audience for this medical event is Family Physicians, Physician Assistants, Nurses, Nurse Practitioners. This CME Conference has been approved FOR a maximum of 14 AMA PRA Category 1 Credits. Additional details will be posted as soon as they are available. Women's Health Conference is organized by Continuing Education, Inc and will be held from Sep 01 - 08, 2019 at Celebrity Silhouette, Southampton, England, United Kingdom. The target audience for this medical event is OB/GYN Physicians, Physicians, Nurses, Nurse Practitioners, Physician Assistants. This CME Conference has been approved for a maximum of 14 AMA PRA Category 1 Credits. Additional details will be posted as soon as they are available. Course of 5 (C5) is organized by Faculty of Sexual and Reproductive Healthcare (FSRH) and will be held on Sep 23, 2019 at Royal South Hants Hospital, Southampton, England, United Kingdom. Course Aim: The C5 provides an opportunity to: • Practise and demonstrate practical skills required for the provision of contraception and testing of STIs • Develop increased awareness of the way that personal attitudes, gender, sexual preference and cultural differences impact on SRH consultations in a safe environment • Identify areas where further learning is required before proceeding to clinical assessments. Course Assessments: The C5 comprises 9 assessments. Trainees must demonstrate that they: • Have actively and appropriately participated in a workshop discussion on HIV testing and screening. • Are able to demonstrate how to perform common investigations for sexually transmitted infections on male and female models. • Are able to demonstrate how to teach the use of male condoms. • Are able to have an informed discussion on the assessment and management of women choosing barrier methods of contraception and the principles of fitting these methods. • Are able to demonstrate the insertion and removal techniques for a currently marketed implant on a model arm. • Are able to demonstrate that they can apply the principles of confidentiality, Fraser Guidelines, consent and safeguarding children in clinical scenarios. • Have actively and appropriately participated in a discussion on responding to someone presenting with a psycho sexual problem. • Have actively and appropriately participated in a discussion on responding to a woman presenting with an unwanted pregnancy. • Have actively and appropriately participated in a discussion of the management of men and women who request sterilisation. Additional details will be posted as soon as they are available. Menopause Study Morning is organized by MediConf Ltd and will be held on Oct 12, 2019 at Novotel Southampton Hotel, Southampton, England, United Kingdom. This Conference has been approved for a maximum of 3 hours CPD. Topics • Menopause and PMS Your Learning will cover: • Menopause Assessment • Impact of menopause on health • HRT update on benefits and risks • Alternative therapy choices • Practical prescribing • Review of NICE Guidelines • Discussion and questions Additional details will be posted as soon as they are available. UK National Neonatal Transport Group Conference 2019 is organized by CFS Events Ltd and will be held from Nov 28 - 29, 2019 at Leonardo Royal Hotel Southampton Grand Harbour, Southampton, England, United Kingdom. Conference Description: This conference gives neonatal transport professionals an opportunity to exchange and share good practice, ideas and experiences, and produces annual statistics on transport activity throughout UK. Key topics for 2019 include: • Education for transport teams and outreach • ANNP and nurse transfers and the challenges • The challenge of time Additional details will be posted as soon as they are available.